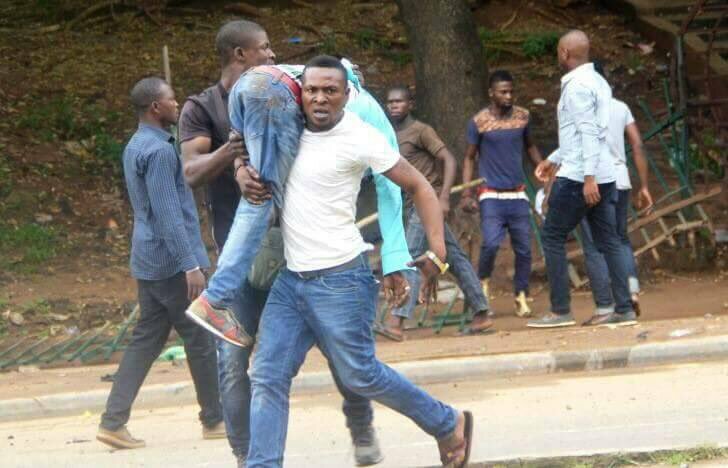 Earlier today,Charly Boy and his group of ‘Our mumu don do’protesters stormed WuseMarket,Abuja to ask traders to join their protests. 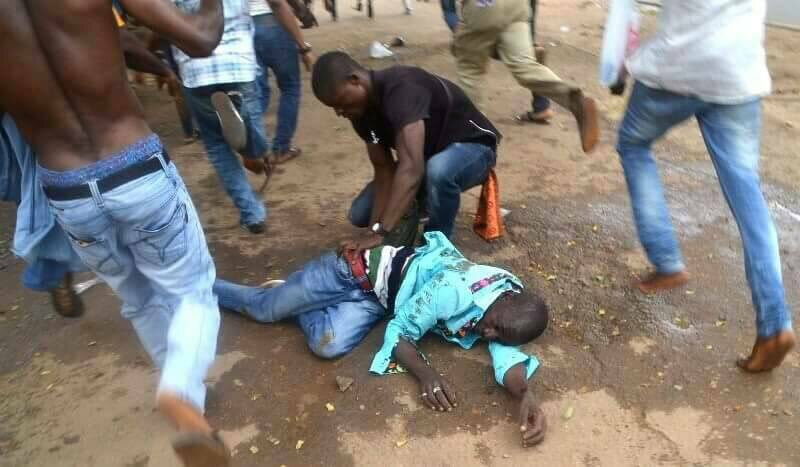 However, they were attacked by ”Sai Baba’ boys who smashed the vehicle Charly boy rode in,and injured a civilian,one protester , a journalist with the Sun and Cameraman with AIT. 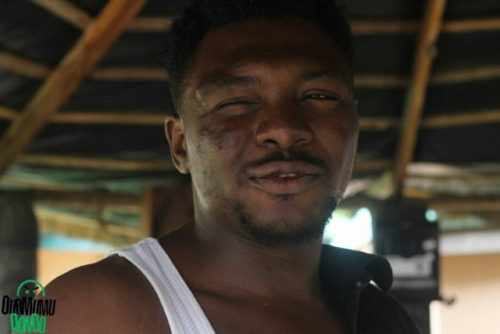 According to photos and videos making the rounds on social media, Area Father as he is fondly called, took his peaceful “Resume or Resign” protest to Wuse Market in Abuja, and was warmly welcomed by many people until some hoodlums who reportedly support the president attacked him, stoned him and smashed his car’s windscreen, as he escaped the mob action. 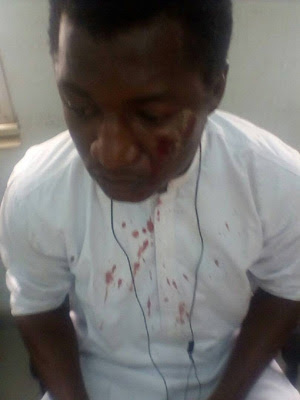 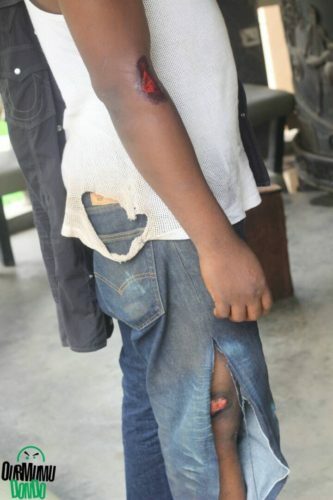 0 Response to "Photos: Journalists, Protesters Injured During Attack On Charly Boy At Wuse Market"